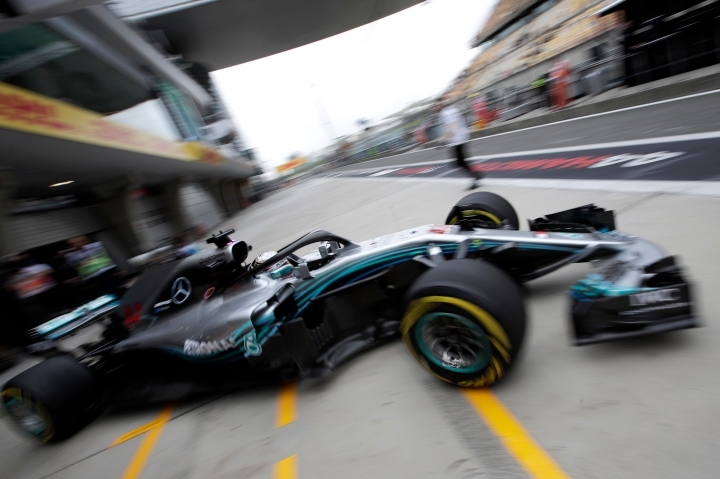 SHANGHAI — Defending Formula One champion Lewis Hamilton was quickest in both practice sessions on Friday for the Chinese Grand Prix. The Englishman has won five times in China — including last year — and will be looking for his first victory of the season on Sunday. Ferrari's Sebastian Vettel won the first two races in Australia and Bahrain. 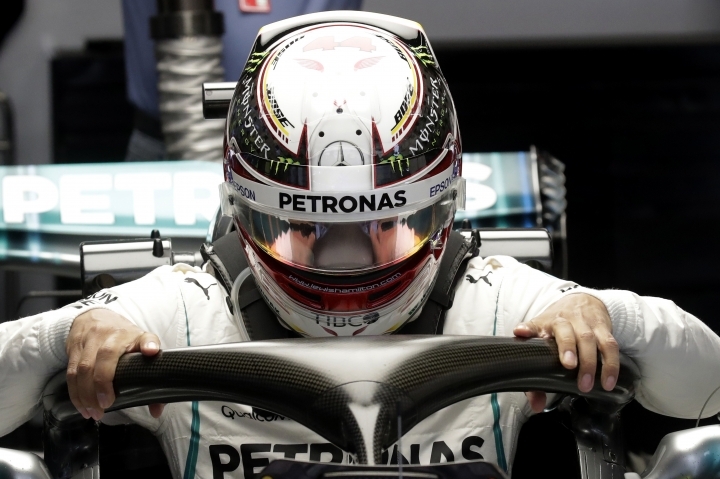 Hamilton of Mercedes clocked 1 minute, 33.999 seconds in the morning on the 5.451-kilometer circuit. In the afternoon he was slightly quicker with a time of 1:33.482. Ferrari driver Kimi Raikkonen was the second quickest in both sessions, and in the afternoon he was only 0.007 behind Hamilton. Mercedes teammate Valtteri Bottas was third in both sessions. 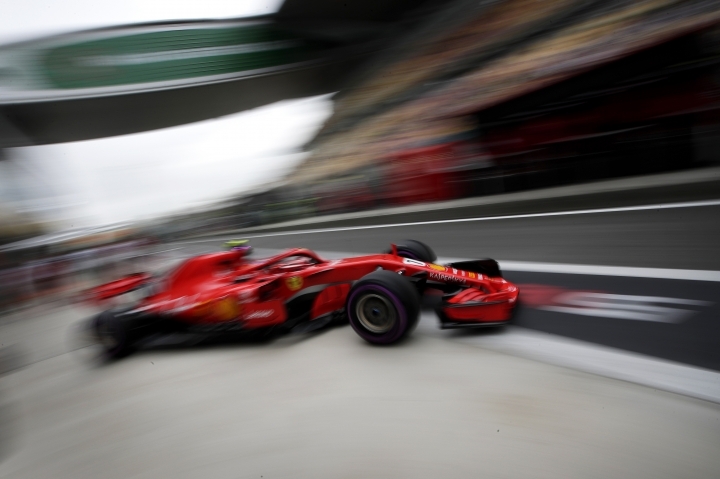 Vettel was sixth in the first session, but moved up to fourth in the second. 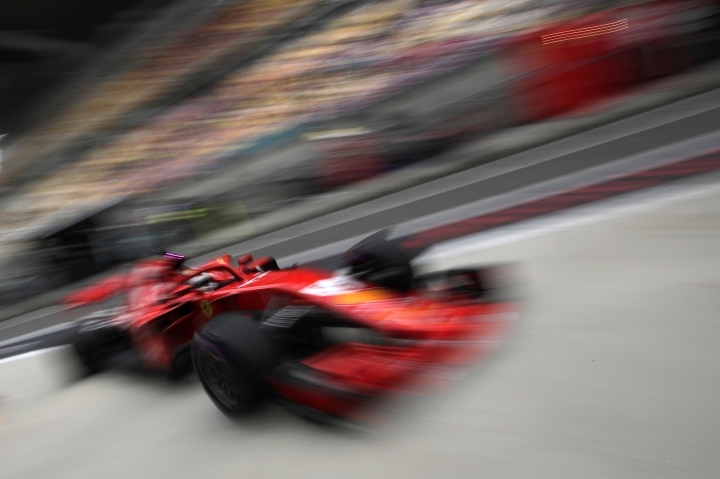 Hamilton has dominated in a decade of racing in China. In addition to five victories, he's taken pole six times in 11 attempts. A light rain coated the track in the final minutes of the second session. The first session was dry despite the threat of rain on a chilly, windy day. Rain is forecast for Saturday qualifying, with race day expected to be dry.